“Pancho,” founded 84 years ago, is a shop that has been serving pork bowls for three generations! 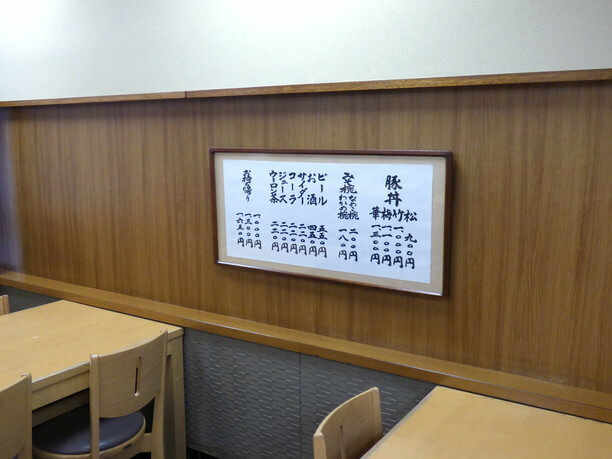 The famous menu of this cafeteria in the town hall gained an excellent reputation after the war. 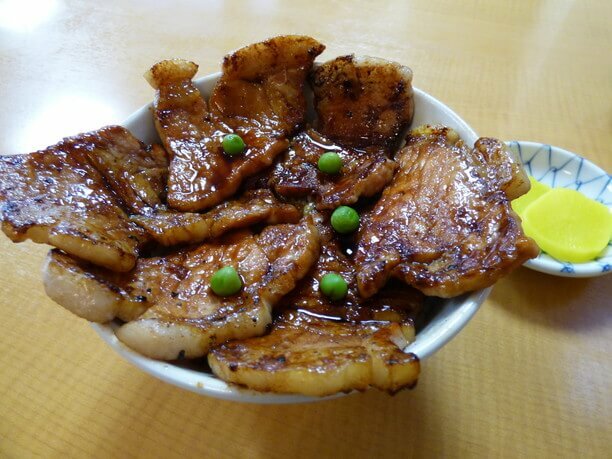 Soon they started to serve pork bowls at each shop and the pork bowl became a special dish of Tokachi. It is “Pancho” that is known all over the country as its “birthplace of pork bowls! “Enjoy their delicious pork bowl! 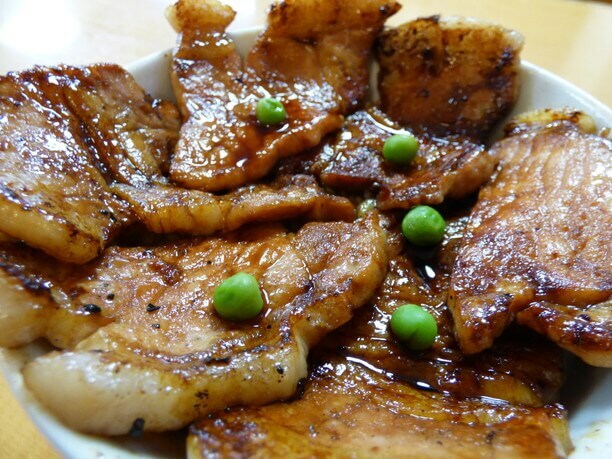 From the beginning, pork meat was most familiar to the people of Obihiro. It was loin meat grilled with charcoal that was carefully seasoned with a slightly sweet soy sauce base. At the time of its founding, there was a signboard saying “Please eat pork bowl that tastes better than an eel bowl” at the shop. 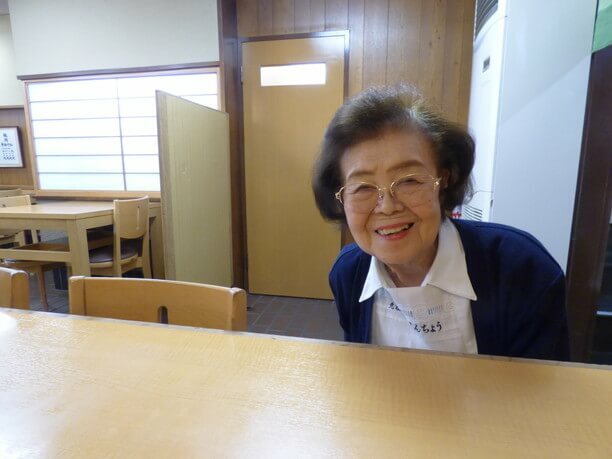 “We have served the same pork bowl for 80 years,” said the father and eldest son, Sachiko Abe(阿部幸子). The fragrant flavor of the charcoal grill and the sauce are the deciding factors of the taste of the secret recipe of the Abe family who has handed it down for three generations. Food can be given one of three ratings for quality and value. 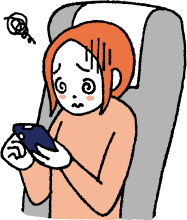 “Ume” is the lowest rating. However Ume, which means plum is the owner’s wife’s name. During wartime, because of his absence his wife raised seven children alone. So as a tribute to her, he reversed the order and made “Ume the highest ranking. The rank is decided by the amount of meat, and the Ume serving in the picture is 1,100 yen (tax included) with 6 pieces of meat. Their pork bowls have an elegant and generous taste. 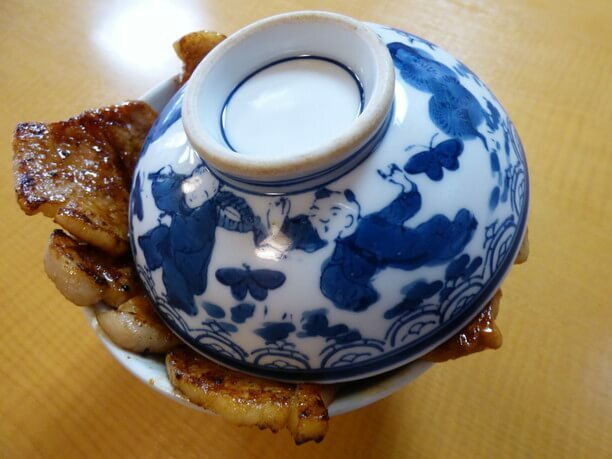 The loose meat in a sweet sauce is soft, and the rice which carries the fragrant flavor of the charcoal fire is plump. The fat, rice, sauce and meats flavors, are entwined deliciously! it is a taste that has real depth. After 60 years they became a pork bowl specialty store! 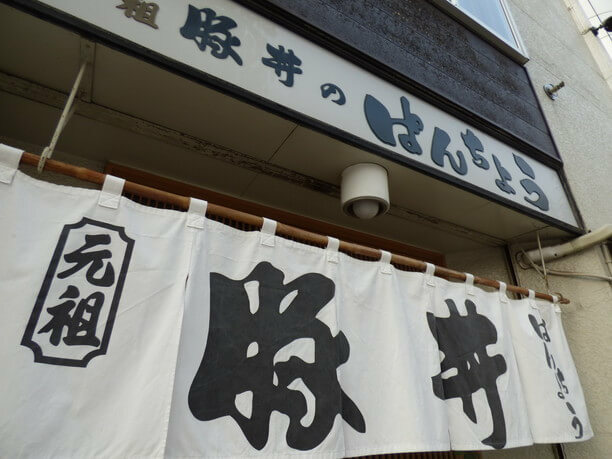 “Pancho” which has kept the taste of the original pork bowl is a famous shop that is representative of Tokachi, both in name and reputation. 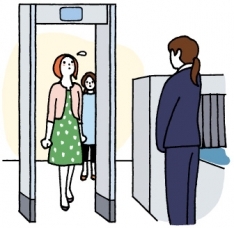 They have many customers, not only from inside and around Hokkaido, but also from abroad! 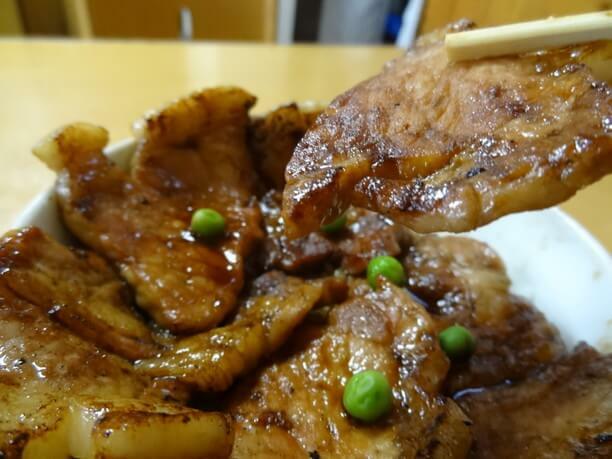 When you visit Obihiro, it’s a pork bowl you will want to taste at least once! For those who do not have time to eat at the shop, take home a pickled rice bowl that is available for 1,000 yen! The shop is open at 11 o'clock for lunch. 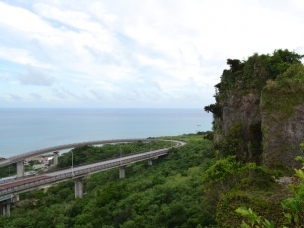 However, be prepared to be lined up on weekends and holidays! 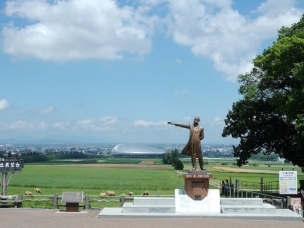 Located opposite JR Obihiro station with the bus terminal across the road. 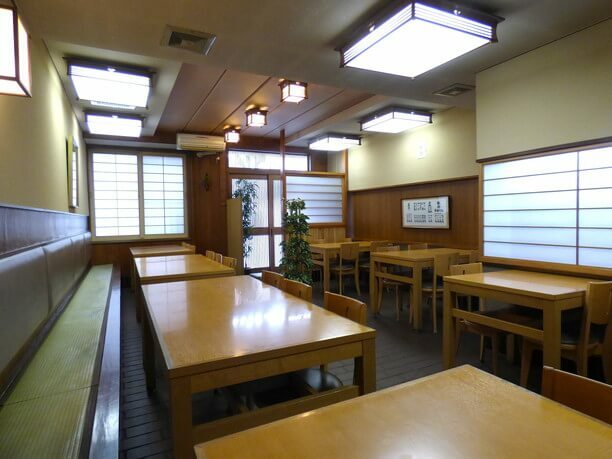 It is perfect for a place to eat and prepare for travel to your next destination. With a pork bowl, miso soup is also available. We recommend, Nemiko miso bowl 200 yen. 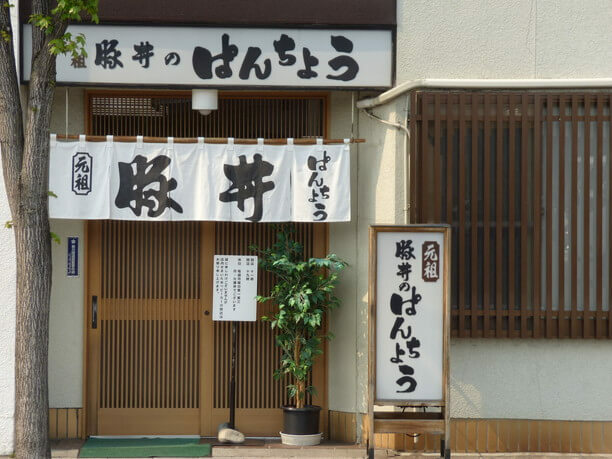 Butahage is a well-established shop connected to the Obihiro station building which features delicious pork bowls. Enjoy “Butadon no Tonta’s” special pork bowl! Enjoy a large serving of classic curry at the Curry Shop Indian Machinaka Store!